Date: Oct 6 2018, 7 p.m.
One of the most anticipated fights in UFC history will take place in Las Vegas on Saturday, October 6. 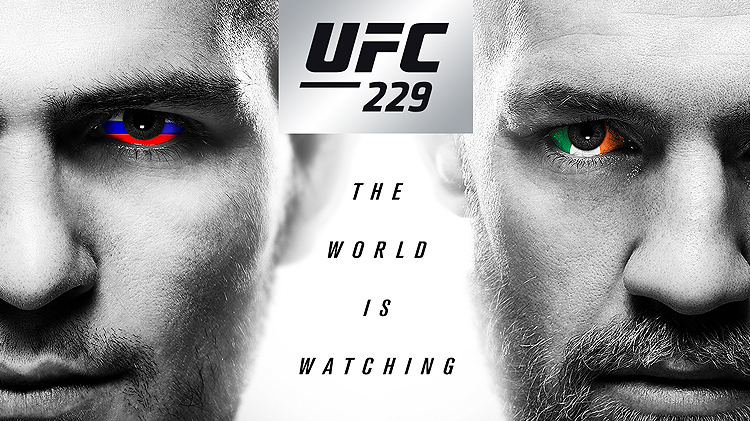 “The Notorious” Conor McGregor returns in an attempt to retake the UFC lightweight title from unbeaten champion Khabib Nurmagomedov in the main event of UFC 229. At 26-0, Russia’s Nurmagomedov has been untouchable as a pro. His recent wins against Michael Johnson, Edson Barboza and Al Iaquinta have only strengthened his place as one of the greatest lightweights of all-time. But Ireland’s McGregor, the first man to hold two UFC titles simultaneously, has made a career of achieving what some say is impossible. He plans on putting a “1” in Nurmagomedov’s loss column while taking back the belt he never lost in the Octagon.